Acer America - FSP250-60THA 4A393-004 Genuine Original Acer FSP250-60THA 250W Power Supply PY.25008.002. 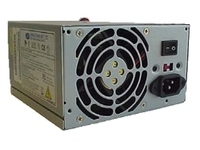 Compaq - COMPAQ EVO 3/500 250W SFF POWER SUPPLY PN: 244166-001. HP-U250XC3. PDP116P. REFURBISHED. Compaq - 153652-001 COMPAQ POWER SUPPLY 250w P/N: 153652-001. FOR PROLIANT ML330 PRESARIO 5800 AND TASKSMART. SAME AS 152769-001.